Apple is making a play to attract Chinese users to Apple Pay, and is offering discounts of up to 50 percent on goods from a wide array of merchants. The program launched on Monday offers the discounts at 28 retail establishments including Burger King, 7-Eleven, Burger King, Pizza Hut, Starbucks, and Watsons, amongst others. Internet merchants have not been left out, with online travel vendor Ctrip, bike-sharing app Mobike, and JD.com all giving discounts. Banks are offering up to 50 times the reward points for credit card purchases made with Apple Pay. The rewards from the banks are not restricted to participating vendors, and can double-up with discounts at vendors. According to a report from South China Morning Poston Monday, adoption of Apple Pay in China will take some effort. The third-party mobile payment market in China is dominated by Alibaba and Tencent, holding 53.7 percent and 39.5 percent of the market, respectively. Apple Pay was announced in 2014 as an NFC-based, Touch ID-protected payment system for the iPhone 6 and up. The service went live with the release of iOS 8.1, later expanding to the Apple Watch, in-app payments on Touch ID-equipped iPads, and in 2016 with Apple Pay on the Web. Apple Pay launched in China in February of 2016. 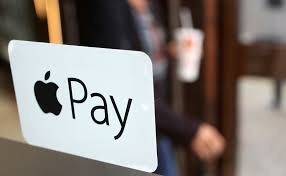 At the time, Apple claimed that the country could turn out to be the largest venue for the payment service.